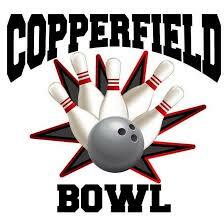 Houston Chapter of Credit Unions – 12th Annual Chapter Bowling Tournament! Register a team today for the 12th Annual Bowling Tournament! It’s that time again! Shine those bowling shoes and practice those strikes because the 12th Annual Bowling Tournament benefiting Houston Children’s Charities is just around the corner on Saturday, March 24th, 2018. Space is limited to the first 25 teams (and they always go fast) so sign up today! Please register by clicking the Register Now link below and submitting the form by March 16, 2018. Instructions and additional details are on the form. Contact Julirey Velasquez at Houston Texas Fire Fighters Federal Credit Union at (713) 864-0959 or marketingemail@htfffcu.org to reserve a spot or for more information. P.S. Don’t forget to register for ALL Chapter events by purchasing a Team Package. Sign 1 check and get a guaranteed team in all sporting events for 2018! Click here for details or contact Julirey Velasquez. Register for Event: 12th Annual Chapter Bowling Tournament!